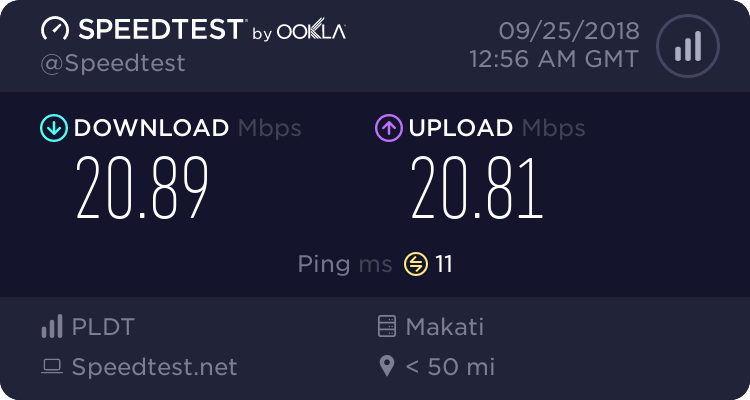 double upload speed ka pa! Yep. It looks like it. I ran the test several times to see if it's consistent. 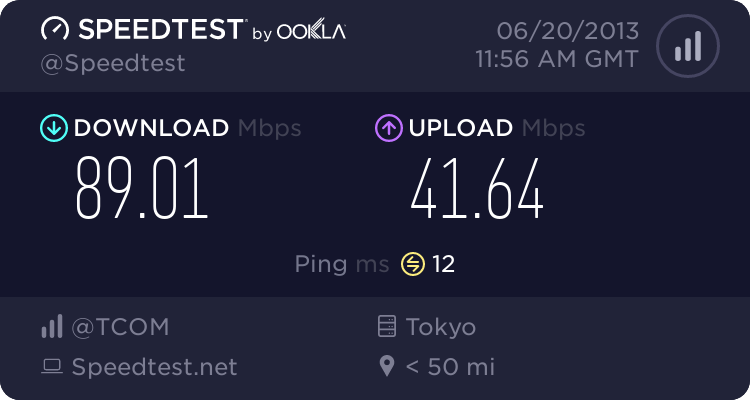 Upload speed is also double. I wonder for how long. 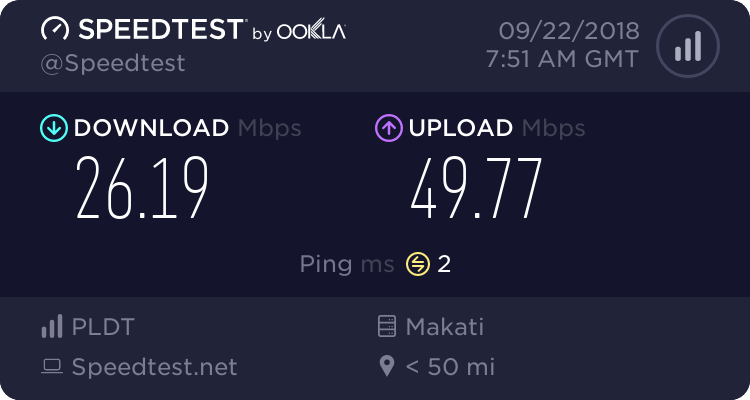 I just checked the speeds at our condo nearby. Unfortunately, it is still at 20 mbps up/down speed. It's a VDSL connection on the same 1899 plan. Upstream rate is capped to around 100mbps and downstream rate is set to 30mbps. Pero noticing also that the browser is less responsive. Pages take a few seconds to start appearing. DNS issue? Changed from 8.8.8.8 to 1.1.1.1 got some minor improvement but still feels sluggish. Direct download is fast though. Getting tired of them PLDT sales reps calling and trying to sell upgrades like TelPad, etc. They have been calling every day. Is there a way to have them stop? They are worse than SPAM. Nainis din ako diyan. That was another reason I devided to move to fiber and a new number. I just hang up every time they call me up... eventually, they just stopped calling my number. Walang bang recourse like reporting this to the NTC? The sales guy suggested to call 171. We all know how (in)effective that one is. Are they really PLDT employees or just agents posing as PLDT? It took many retries to access this forum. Slow browsing day for many sites. Probably I may also have to retry many times to post this. Whole San Juan /Mandaluyong area not working apparently the cable was cut. Anyone have an ETA on when this will be fixed. Can’t they just patch the broken wire? It’s not submarine cable it’s just a cable on Ortigas ave, but two days already and Pldt hasn’t fixed it yet. Marikina Heights, Marikina area, same issue here, intermittent D/Cs, high ping, slow loading ng page o minsan hindi na naglo-load yung pages. 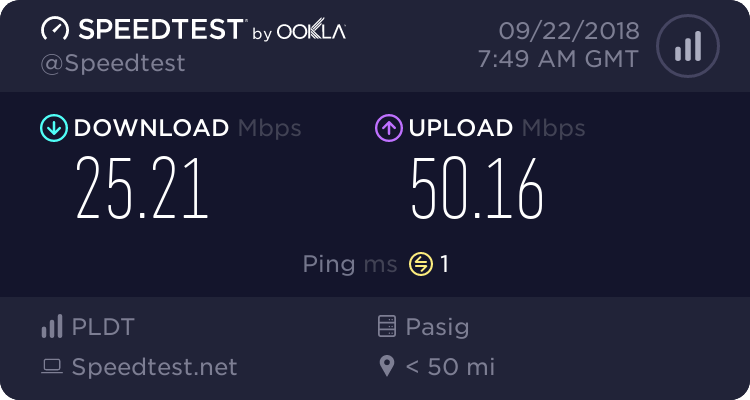 for 3 days PLDT DSL speed jumped from 3 mbps to 5 mbps. i wonder if this is a fluke or they did upgrade my DSL. can't contact PLDT to even inquire if they got my payment for my bill because i didn't get a text, 171 rejects my account number (starts with 2 zeroes) and no reply via twitter. have you tried removing the two zeros? or maybe using one zero instead? i have but what happens is that i still get an error because the system requires 10 digits. 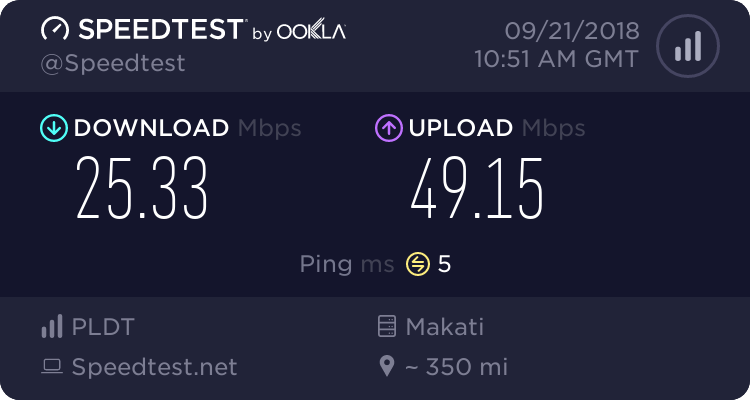 PLDT recently rolled out speed upgrades for its subscribers in response to Globe’s new unlimited data plans and to appease their subscribers from the customer service hell they’ve been having because of DOLE/labor issues.